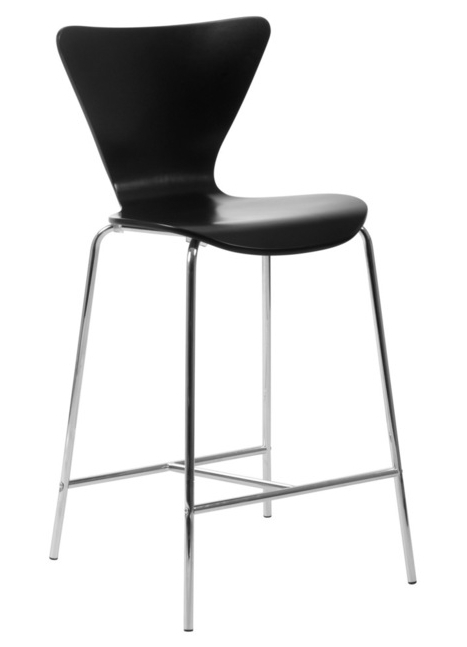 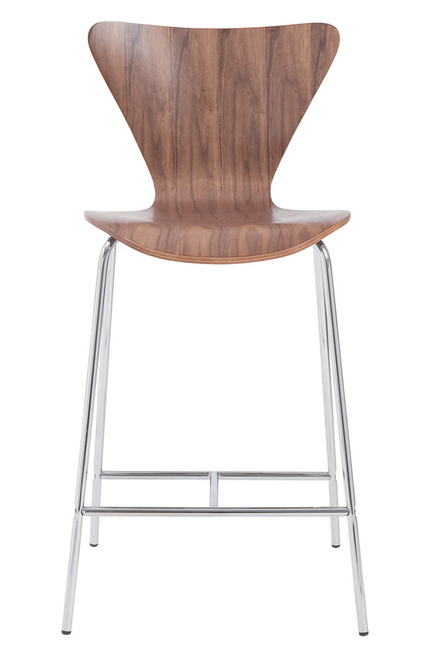 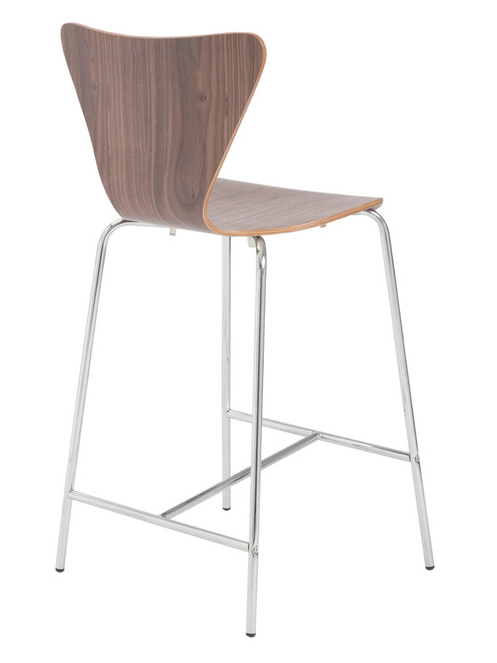 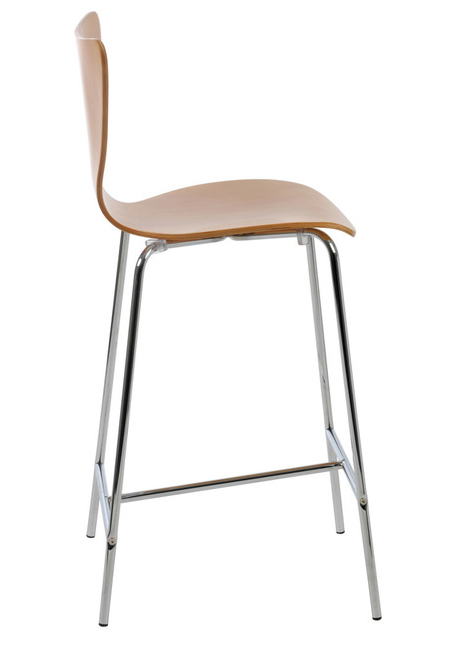 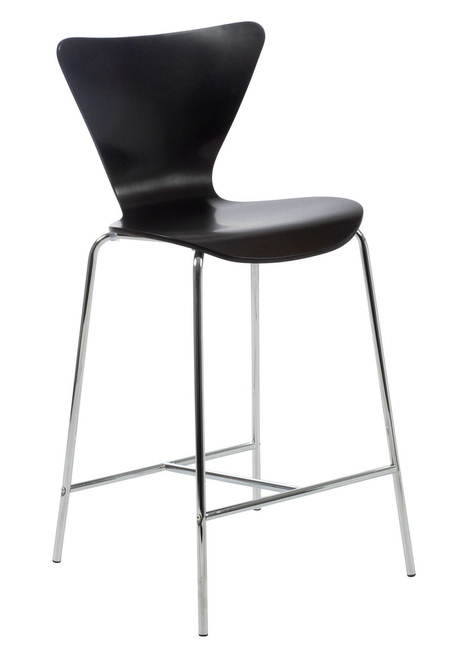 This Arne Jacobsen Series 7 style versatile Butterfly bar stool is adaptable to the most modern or traditional environments. 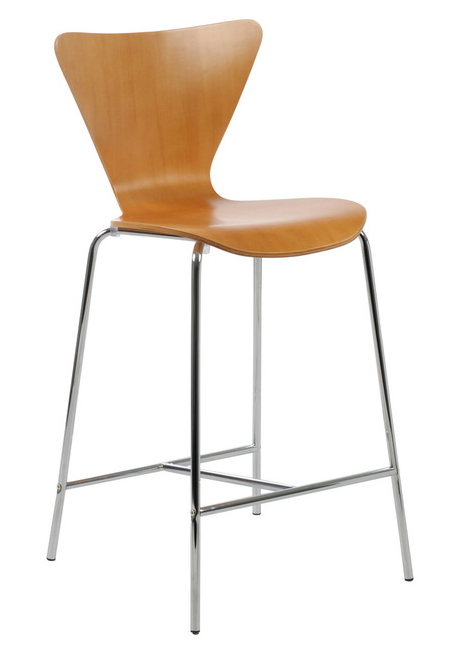 This contemporary and classic design is crafted from one continuous piece of laminated wood shell, contoured for maximum comfort. 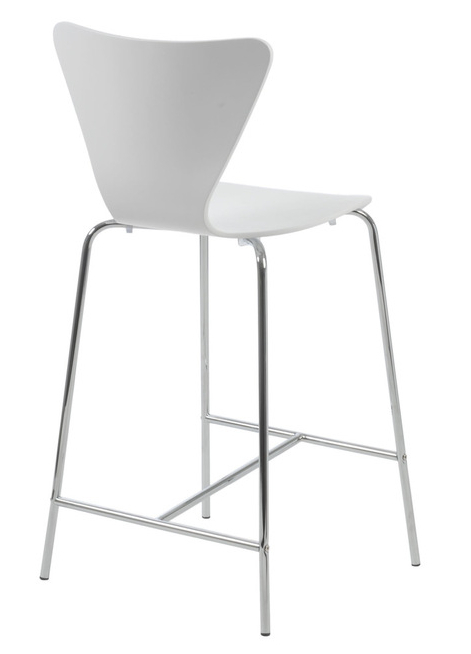 Seat connected to chromed tubular steel base. 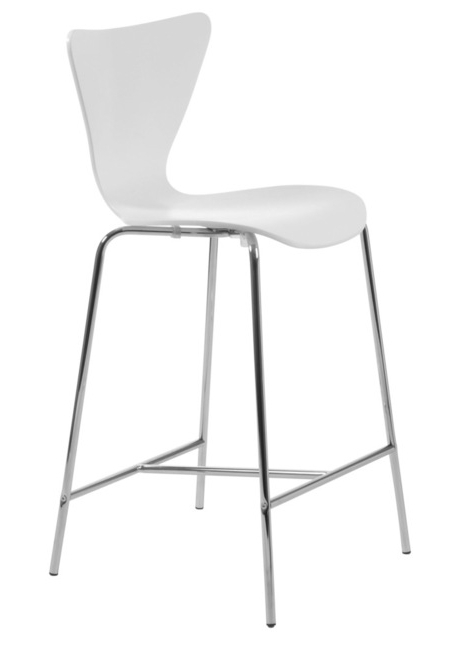 -- Please Choose an Option --	20"W x 19"D x 34"H: Seating H- 26"